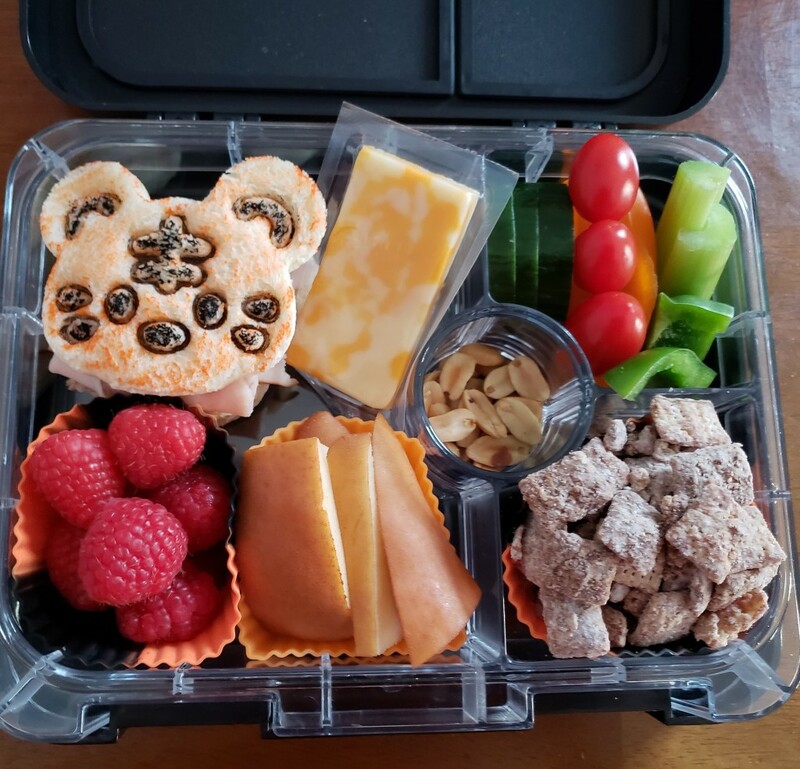 We had an ice storm on Sunday that closed school on Monday, but school was open Tuesday-Friday so we had four animal themed lunches this week. 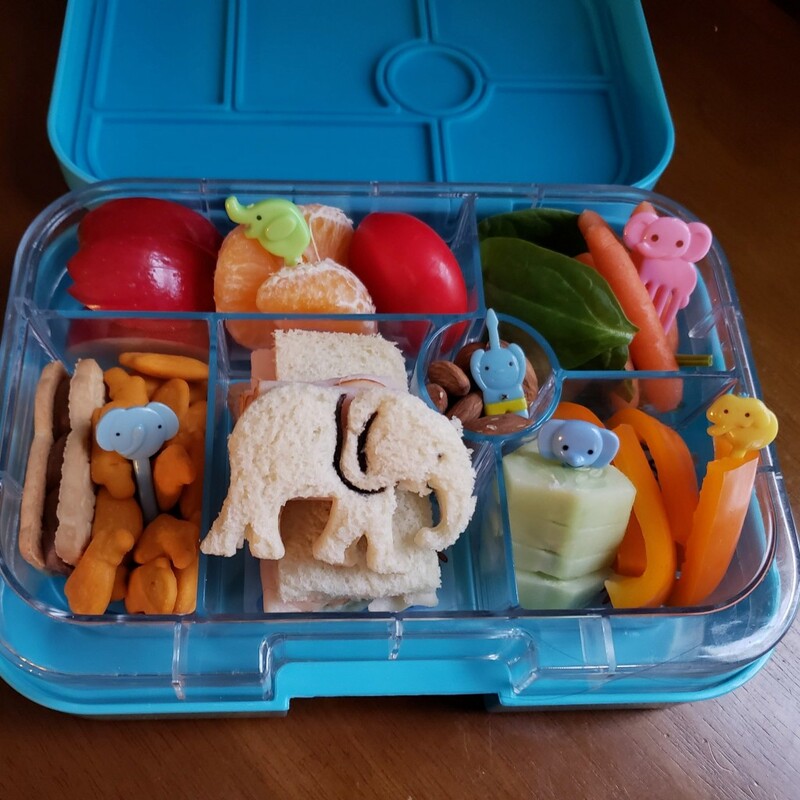 We started off the week with elephants marching through lunch. Over my years of lunch packing I have collected several different styles of elephant picks! This lunch included some beautiful raspberries and was special because the dessert item here was chocolate-peanut butter mix that my daughter made on the Monday ice day. On Thursday, I picked pandas as the animal. 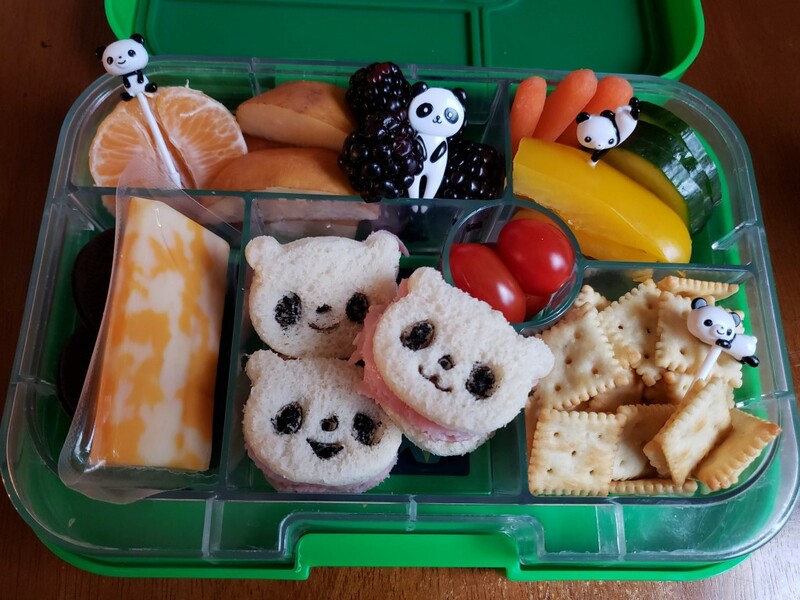 I used my mini panda cutters to make three mini panda sandwiches. Each panda has a unique expression. I also included several panda picks because they are cute. 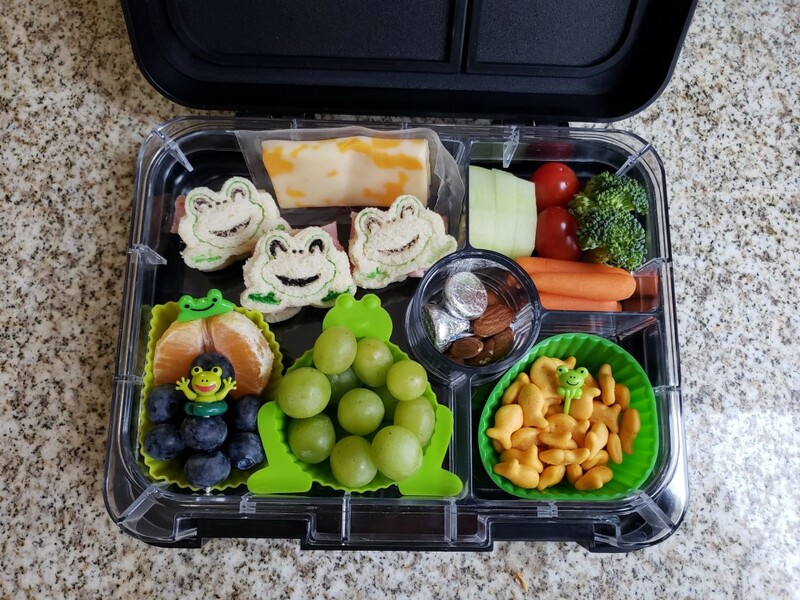 On Friday, I decided to continue with the cute mini sandwiches and featured frogs using a mini frog cutter. I found my special frog-shaped silicone cup from a friend in England and a few cute frog picks like these, these, and these to add to the lunch.